Maryori during one of her sessions! Maryori completing a therapy activity! 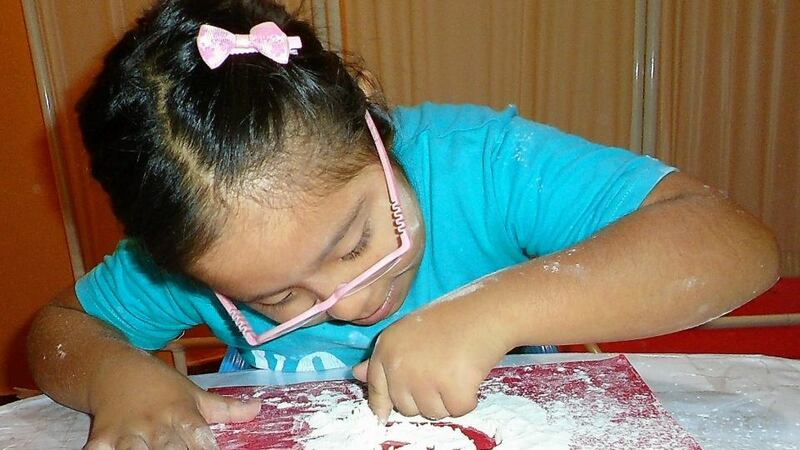 Maryori is ten years old and has Down syndrome. Her mother, Marina, told us she was devastated when she found out. She didn’t know how she would support Maryori. 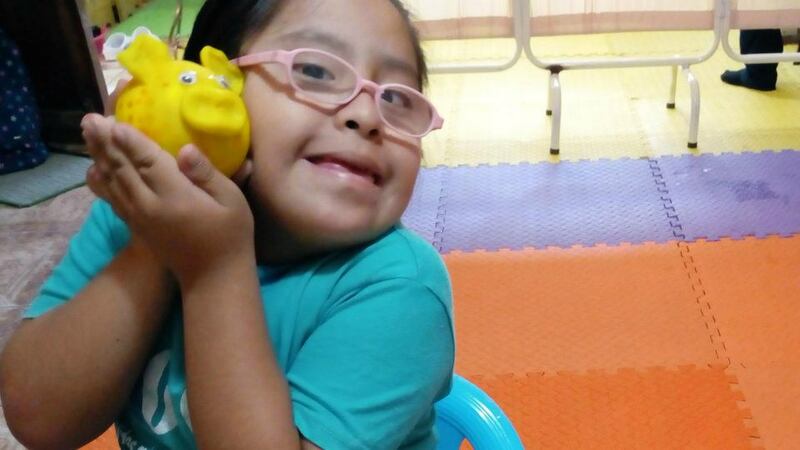 Today, while Maryori faces many challenges, her mom describes her as a blessing to the family. 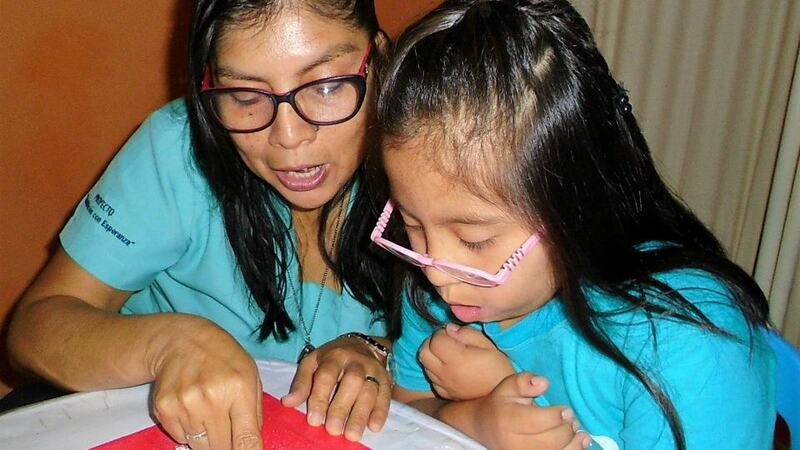 “The hardest part is seeing other children laugh and reject her.” The stigma surrounding individuals with disabilities is an added challenge to an already difficult life. You see, her family live in one of poorest communities in Peru. Things got better when Mavori started receiving special therapies, but her mom worries that they won’t be able to continue this care. 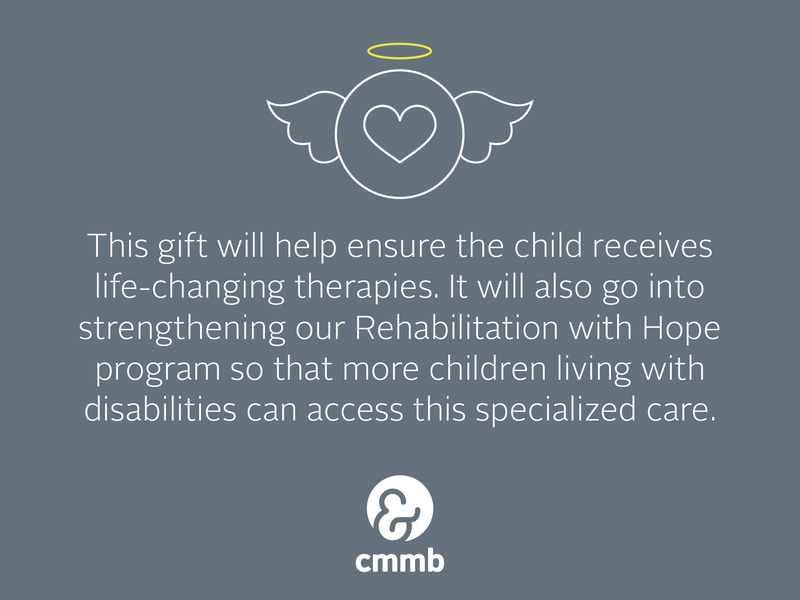 Special care is helping transform Mavori’s life. An Angel Investor can help ensure it continues to.